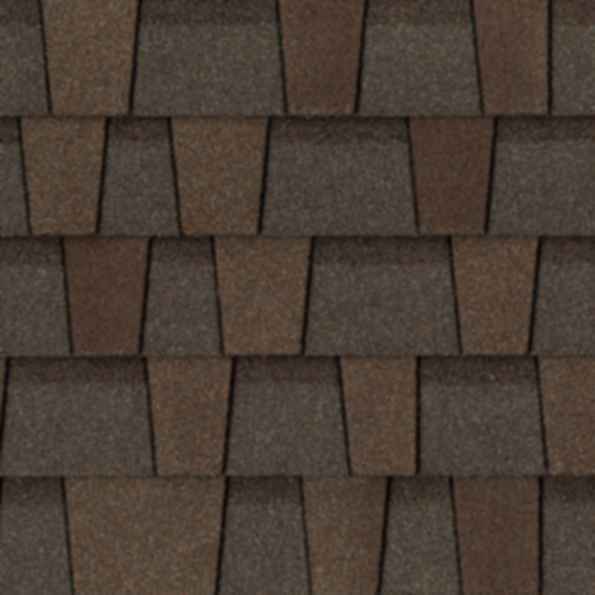 Shingle Length: 40" - Shingle Width: 13-1/4"
Premier Advantage® is the heavyweight alternative to traditional laminated fiberglass shingles. Designed with a distinctive palette inspired by the colors found in nature, Premier Advantage is often installed on structures in demanding climates - from beachfront estates to mountain cabins. Premier Advantage features up to a Limited Lifetime Warranty for single family residential structures and a 50-year fully transferable Limited Warranty for all other structures. All colors are available with the Scotchgard™ Protector, which PABCO® Roofing warrants that your roof will resist the black streaks caused by algae 20 years. PABCO® Roofing Products is a family-owned company that began manufacturing premium asphalt shingles out of our Tacoma, Washington facility in 1984. Over the years we have built lasting relationships with highly regarded contractors, distributors, and suppliers to create a culture where consistent quality can be achieved. Our commitment to our core values remains and drives our business practices, continuing our history of product innovation and best-in-class customer service.